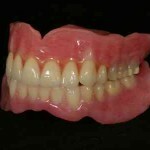 Dentures and partial dentures are a form of removable prosthodontics where the restoration is removable by the patient. Complete dentures replace all the teeth in one or both arches while partial dentures only replace some of the teeth in one or both arches. Both denture types are popular for replacing missing teeth due to their relatively inexpensive cost, minimal time required, and often lack of surgical steps. 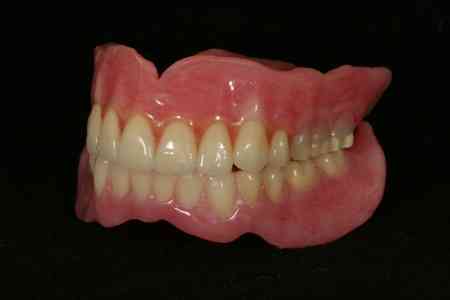 At Prosthodontic Associates, we carefully control each step of the denture fabrication process in our in-office lab. We are able to accommodate patient jaw shapes and sizes of all sorts and can offer a wide variety of denture teeth shades and designs. This results in a denture that exhibits remarkably accurate fit, and is truly customized to each individual patient’s aesthetic and functional desires. Is your existing denture broken? If so, there is a very good likelihood that we are able to repair your denture the same day you bring it in. Even if we did not make your denture or if you have never seen us before, give us a call to schedule an appointment. We will evaluate your broken denture and help you decide the best course of action. Q: I am new to wearing dentures. What should I expect and how should I care for them? A: First of all, it is important to remember that dentures are not a substitute for teeth – they are the alternative for not having any teeth. Compared to natural teeth, dentures will have a reduced chewing efficiency, requiring more effort and chewing strokes to break down the same amount of food. 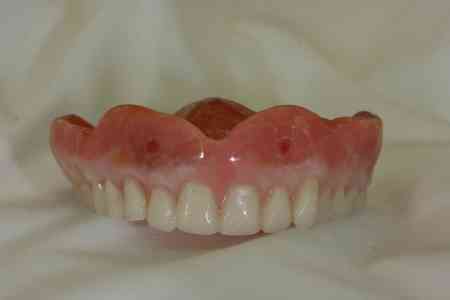 If this is your first set of dentures, it may take a while for your mouth to adjust to them. You may immediately notice your mouth salivating a lot more than normal with the dentures in. You may also have some difficulty in pronouncing certain words or sounds. Both of these issues will usually improve as you adjust to your new dentures. Sore spots are fairly common with new dentures, be it your very first time wearing them, or if you have had older sets of dentures. Do not try to adjust your dentures yourself as irreparable damage may be done inadvertently. It is best to contact your dentist and have them adjust your dentures for you. Sometimes it may take a week or two to fully get a new set of dentures completely adjusted and fitting comfortably. Even then a sore spot or two may come up every once in a while and need adjusting. Adhesives are frequently used by denture wearers and can be a good way to provide a little bit more retention and stability to a denture that may be slightly loose. It is best to consult your dentist regarding what kind of denture adhesive is recommended and how to use it most effectively. 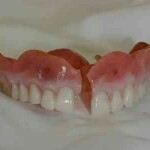 Although dentures are not the same as natural teeth, it is very important to keep them clean of food debris and plaque. Doing so can extend the life of your dentures, making them more comfortable fitting, improve chewing efficiency, and maintaining better oral health. Your dentist may recommend certain cleaning protocols, but in general, it is recommended to brush your dentures clean of all debris and plaque at the end of the day using either a specialized denture brush or a regular toothbrush. Toothpaste may be used, but it is not necessary. Soaking the dentures for an hour in a cleaning solution like Efferdent or Polident can help keep them from developing an odor or taste. Generally, you always want to keep the dentures wet – either they are in your mouth or they are soaking in a cleaning solution or plain water. 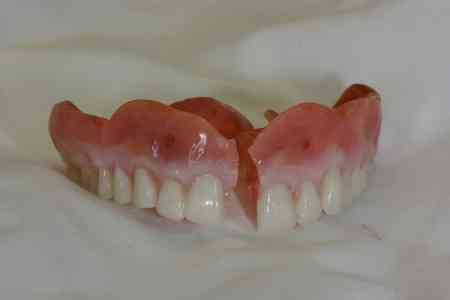 The denture acrylics are designed to be moist and may suffer damage if allowed to completely dry out. 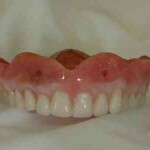 Just because you wear dentures does not mean you no longer need to see your dentist! It is a good idea to see your dentist at least once a year so that your dentures can be inspected and professionally cleaned. Your dentist will also evaluate your oral tissues and inspect for any problems that need addressing.